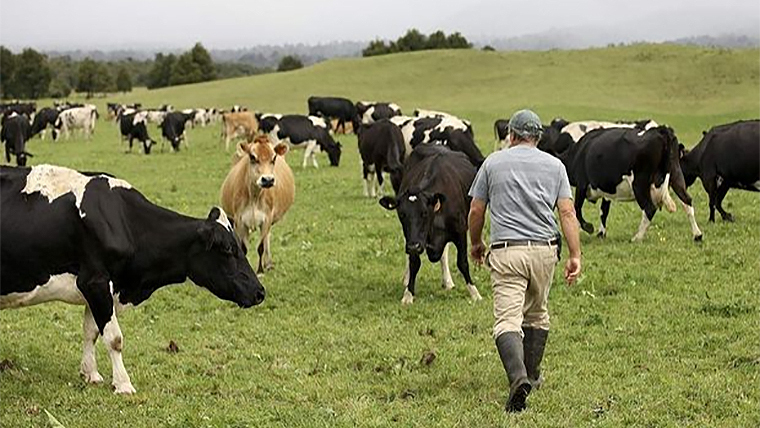 A fourth consecutive season of strong milk pricing is anticipated for New Zealand dairy farmers in 2019/20, with a farmgate milk price of NZD 7.15/kgMS forecast for the new season, according to a recently-released outlook report by agricultural banking specialist Rabobank. For the current 18/19 season, Rabobank says modest upside is anticipated to the farmgate milk price, with this now expected to lift to NZD 6.65/kgMS. In its seasonal outlook on New Zealand dairy, Fourth time lucky: Back in the black once more, Rabobank says stagnant global milk supply and robust global demand for Oceania-origin dairy products is expected to support strong milk prices for New Zealand farmers over the remainder of the current season and into next. Report author Rabobank dairy analyst Emma Higgins said higher global dairy commodity prices had been sustained by below-average milk production growth from key exporting regions. Ms Higgins said the slow-down in global milk supply growth had led to a recent substantial rise in the pricing of Oceania-origin dairy product. Ms Higgins said while a new season forecast with a “seven in front” would be warmly welcomed by farmers, they would be wise to factor in some input cost inflation and budget accordingly. The report says global demand risks pose the greatest threat to milk prices in the new season. Ms Higgins said dairy demand seems broadly robust, and in particular Chinese buying has remained strong for the first few months of 2019. The report says geopolitical tensions also continue to simmer and while trade tensions between New Zealand and China may be temporarily relieved, the US and China are yet to formalise any potential trade deals to ease theirs and the Brexit ‘divorce’ only adds to the mix. Following exceptional weather conditions across the second half of 2018, the report says New Zealand milk flows were 4.4 per cent ahead of the previous season to the end of January 2019. Since then, seasonal dry conditions have hit the majority of the North Island, with a particular intensity in the Waikato region, and milk production has now stalled with February milk flows barely matching last year’s volumes. “With the dry conditions turning severe in some places, herds are now being dried off for the season, and there is now a strong risk that milk production finishes abruptly from March 2019,” Ms Higgins said. Looking forward to the new season, the near-perfect production conditions in 2018/19 are unlikely to be repeated and milk flows are not expected to keep pace with the previous season.